Posted 08.09.2016 at 06:09 in blog by admin / Comments Off on What should I do if my baby has cavities in teeth? Child dental health care is of utmost importance owing to the fact that healthy milk teeth ensure long life of permanent teeth which will erupt after shedding of baby teeth. Decayed, damaged, infected baby teeth followed by early loss can lead to failure of development of jaw bones. It also impacts healthy permanent teeth. Failure of eruption, delayed tooth eruption, mal-alignment of teeth, impacted teeth and rotated teeth are the common consequences of neglected primary dentition. Get in touch with Albuquerque New Mexico Dentist for tooth cavities in children. Vigilant parents especially mothers can play the most important role in maintenance of child dental health care through regular tooth brushing of baby teeth, early detection of cavities and ensuring child’s first dental visit as soon as possible. Highly experienced and skilled 24 hours emergency cosmetic & restorative dentist Dr William C Gardner at NM Family and Cosmetic Dentistry PC has specialized pediatric dentistry training for the prevention and management of dental and oral problems which can affect your children. Healthy milk teeth are essential for the proper growth and development of your child. These teeth are essential for chewing, biting and eating in early childhood. Milk teeth or primary teeth usually start erupting within 6-7 months. This is after child birth and are responsible for daily functions till 6-7 years of age. This marks the eruption of permanent teeth.Get in touch with Albuquerque New Mexico Dentist for tooth cavities in children. Does your child complain of pain and discomfort in mouth? Do you notice blackening of teeth? You must take it seriously. 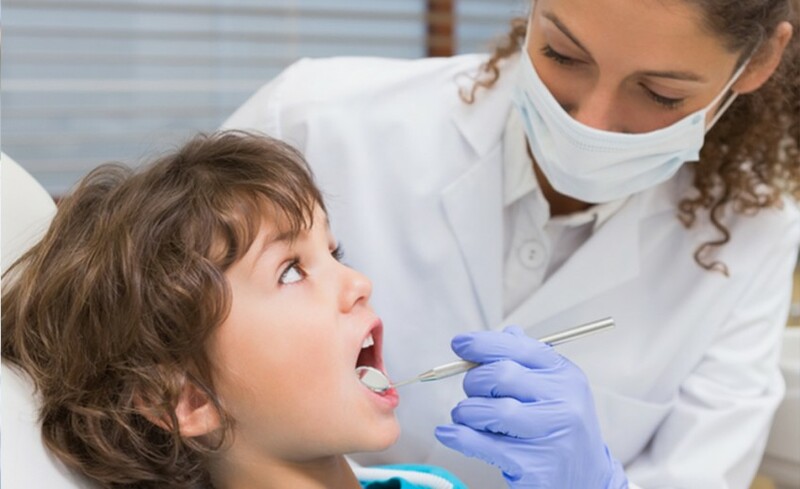 Immediately book dental consultation appointment for thorough examination of your child’s teeth.Get in touch with Albuquerque New Mexico Dentist for tooth cavities in children. Get in touch with Albuquerque New Mexico Dentist for tooth cavities in children. We prefer to avoid removal of teeth in infants and small children at all costs. This is unless there are chances of infection spread to the underneath developing permanent teeth. If left untreated at this stage, infection may cause discoloration, mal-formation, mal-alignment and abnormal formation of permanent teeth. Do you have cosmetic defects in your teeth? Is it making your smile less pleasant? Is this owing to decayed, missing, crowded, crooked, mal-aligned or mal-posed teeth? You can visit your 24 hours emergency Albuquerque New Mexico dentist Dr William C Gardner. Book an appointment at NM Family and Cosmetic Dentistry PC. He is available throughout day and night. He focuses upon best solution. This is for improving your dental and oral health conditions. Get in touch with Albuquerque New Mexico Dentist for tooth cavities in children.